Every possession of regular use calls for timely maintenance and upkeep, and your very own garage door should be no exception. In an average household, the garage door is used around 10-20 times a day, and when estimated over a year that figures to a lot of openings and closings; your door hence being used a lot more than realized! And this degree of use certainly requires maintenance, failing which; you may have to encounter not only inconvenience, but also varying signs of damage: to your vehicles, you’re home and maybe even to yourself. Hence, investing in the maintenance of your door, at least twice a year, should find a place at the top of your ‘To-do’ List! Complete knowledge about the material of the door. Since different building materials differ in durability, required care and resistance to various factors, such as extreme weather conditions; it is important to know what material is best suited. E.g. Wood may require proper re-staining and re-painting, and may still be prone to warped surfaces while a Metal door, will not ever be liable to warp, but at the same time shall require paint, to ensure a rust-free state with proper lubrication of the door parts. Proper lubrication of all moving parts is the primary maintenance for smooth functioning, of your garage door. 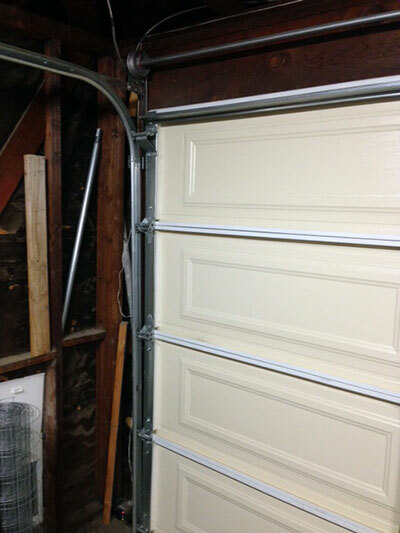 * Garage door rollers, torsion-springs and metal brackets that hold the door should be securely tightened and the rollers should turn easily on the tracks. * Ensure that the parts that are bolted together should flush with each other. * Ensure that the springs are fastened thoroughly and are lubricated regularly. * Check for the bearings on a torsion‘s-spring. * Extra batteries should always be kept for the remote as many times the batteries given with the unit do not function. If any of the above mentioned parts of your door do not function the way it should be, it is time that your garage door is seeking immediate attention. 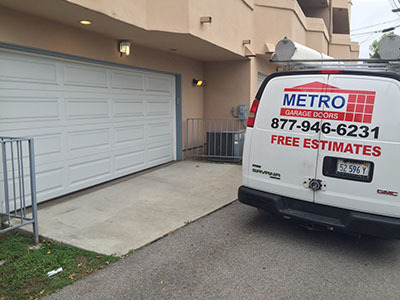 To attend to your door’s problem, contact Garage Door Repair Thousand Oaks. We are always there for your help. You may also like to contact us over telephone. Our local number is 805-426-6363. We shall be delighted to provide you required service to make your door durable, fashionable, and safe. 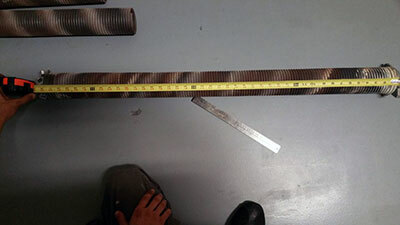 Most importantly a particular time should be fixed to carry out the maintenance work (twice a year). All the maintenance work that we discussed now though sounds very easy it indeed needs professional experts to carried out properly. With adequate attention and maintenance, your door shall remain dependable, offering excellent service to your household.